Most of our customers; whether dealers, parts suppliers or engineering companies supporting the classic car market, all seemed in rude health at the end of 2017. As we enter 2018, I really can’t see that changing anytime soon. The market is still very active and customers are still investing in big numbers in restoration of their classic cars so see no reason for change here in 2018. Whether it’s a humble British sports car or an exotic Ferrari from the 60s, things look good for the sector which is now worth about £5.5bn to the British economy. We are seeing investment at the top of the classic car market from clients very much viewing exotic cars along similar lines to famous artwork. Although I think it will be a while before we see market reaching the exulted heights of the top end of the artwork and painting world. 2017 saw $460m paid for a Leonardo Da Vinci and at the top of the classic car market, a Ferrari GTO sold for $38m so not even 10% of the top price paid in the art world. We have a long way to go but I think classic exotic cars are every bit as important and represent a great investment opportunity for those lucky (and wealthy) enough to indulge their passion in the classic car market. Lets see what happens over the next few years but I can see the most exotic Ferrari’s, Maserati’s and Jaguar’s reaching £40m in the next 10 years. If you are lucky enough to own one, hang on to it! However, there is a dilemma here, many owners and investors still want to drive their classic cars occasionally or even race them. I raced in one of the last races at the Coys meeting at Silverstone back in 2000 and there were 6 GTO Ferrari’s in the same race! I somehow knew that was special at the time and I’m not sure that has even happened at any meeting or even Goodwood Revival since. The market has changed towards seeing cars as works of art now and therefore at the values of £38m for a GTO, the risks associated with racing these wonderful cars, apart from a few dedicated folk, is too high. What this is doing is creating a potentially very lucrative market in recreations and resurrection which personally I’m all for. If done by top restorers, and result in looking absolutely indistinguishable from the original car, then what’s the problem in terms of racing these cars? Otherwise in the future we will not see GTOs, lightweight E-Types or Cobras all racing together as they currently do in many FIA races across the globe. You can’t blame the owners of the absolute original cars for not racing them as they were intended to be with values continuing to rise to the levels they are now and beyond. What this does create is an undercurrent of fantastic resurrected cars that look exactly like the originals which paying customers at meetings like Goodwood Revival will continue to be able to enjoy for years to come as they produce a spectacle of door-to-door racing in epic cars from the 50s, 60s and 70s. Customers will continue to flow to the top UK restorers for these cars to be built. 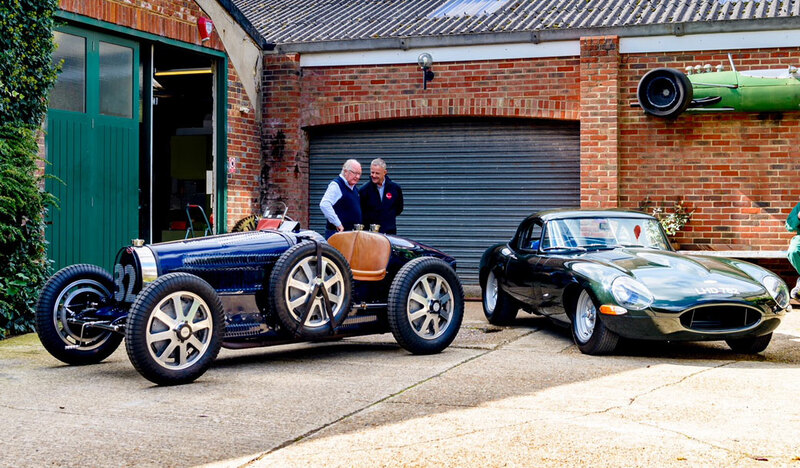 They get to enjoy driving them, the public can see them racing and the classic industry continues to grow and prosper as our love of old classic cars continues into the future. You can also see the resurrected cars will also gain in value for their owners as demand increases, especially if they can generate a good racing pedigree and are built by one of our great specialist restorers in the UK. A Jaguar lightweight sold last year for nearly $8m. 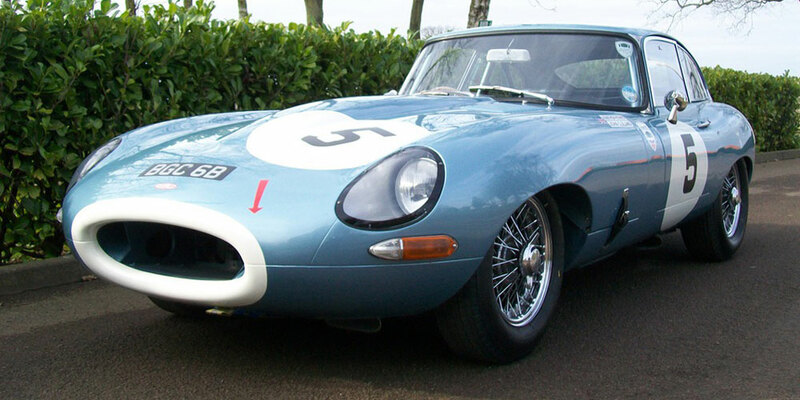 Jaguar recreated 6 extra E-type lightweights and they all sold for close to £1.5m a couple of years ago. So major manufacturers are seeing the value in their heritage and in many cases turning to great classic car specialist restorers to assist with various elements of construction, again keeping the industry thriving. Watch this space but I think great recreations and resurrection cars are only going to continue to rise in value and in a way, they are creating a new market in the classic car sector. Long may it continue! Both the baby cars and the Plus 2 version are undervalued at present. I have been lucky enough to own examples of both, and as a driving experience from the 60s, these cars are just fabulous. Designed by Colin Chapman (of F1 fame), the cars are just a delight to own and drive. Nothing comes close in-terms of handling and, albeit slightly controversial, I would say the Plus 2 is even better with a slightly longer and wider track as well as being a better looking and beautiful car. These cars in good condition or restored are easily a daily user and certainly great fun every weekend to blow the cobwebs away. Values are still too low (but rising) and the most growth will come from the Plus2 as these cars really are undervalued at present and the baby Elan being slightly more expensive. Get into an Elan now whilst you can! Moving up the scale in value, there are some clear winners like the E-type Jaguar over the last few years. Outside lock cars, of which there were fewer, are now reaching well over £300,000 in most cases if largely original or well restored. I personally think as a driving experience, the flat floor early cars are not nearly as enjoyable a road car as a good Series 1 roadster or coupe. The latter has more torque as the engines were enlarged to 4.2L from 3.8L and Jaguar addressed many of the comfort issues with the earlier cars including much improved seating. I think there is still growth in a good or excellent Series 1 which can be purchased today for £200k-£250k and looks just the same as the early cars i.e. fantastic! Speaking to many dealers, as I do, most are saying request for left-hand drive as the market for these is much greater across America and Europe. One prestigious dealership mentioned the other day they are actually finding it much easier to sell LHD versions now. Don’t be scared of LHD cars as they are just as much fun and values between right and left hand drive cars will be in a similar parity as demand for LHD cars is increasing. Long-term investment you will be fine with a great Series 1 E-type roadster or coupe. An amazing driving car and absolutely drop dead gorgeous, values for these cars will continue to rise. Interestingly, values of the Jaguar Series 1 2+2 have also been rising considerably this year. The reason I’m told is the door aperture is much larger, allowing buyers of a larger build, and pushing on in years, to get into the cars more easily to enjoy the Jaguar experience! The cars were also very undervalued until recently against standard roadsters and coupes. Another car in the next level up, totally not commanding the market price it should, is the Facel Vega. 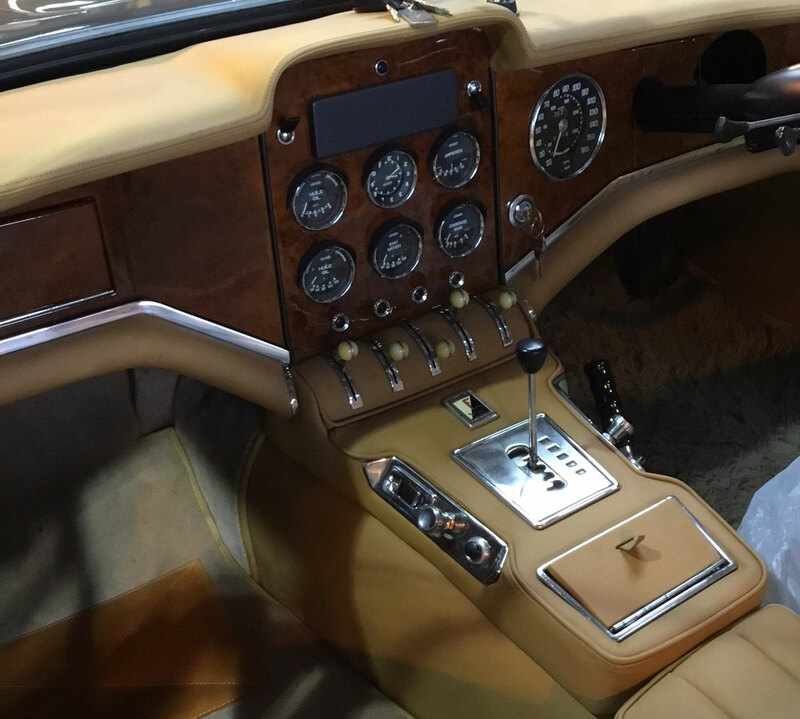 I would describe this car as having the most glorious interior of any car from the period or since. With devastating styling and exceptionally luxurious interior, what’s not to appreciate? In a straight line, they will leave other vehicles from the period in its dust… the 6.2L 360bhp engine delivering a massive 425lbs of torque see to that. These cars were incredibly expensive when new and really only purchased by film stars, racing drivers and rock stars. With exceptional examples reaching nearly £250-£300k now, it’s hard to see how the gap between these wonderful French (Daninos designed) cars and say an Aston Martin DB5, now reaching £1.3-1.5m, is so great (although no doubt the Bond connection helps). I’m not saying the Aston Martin is not a great car, but if I were investing today I would go for the Facel Vega. I can see there being more potential growth here if you are able to fund your passion to this level. However make sure you have a good specialist who understands the breed. Finally there is still growth I feel in the Mercedes 280 SL Pagoda from the 60s. These cars are beautifully built if not a tad over engineered (German style). For example, taking the roof down on an SL involves what appears to be about 15 sets of manoeuvres including placing metal spanner shaped tools to fit into the top of the roof where the windscreen joins the roof. The whole operation takes several minutes to achieve but you can’t knock the quality of engineering. I’m not sure these cars will ever catch up with the E-type in value or even how quick you can take the hood down on a roadster… the E-type taking a few seconds to undo 3 clips, jump out and push the seats forward before the hood’s down. In the meantime, our German friend in his SL280 or 230 etc will be parked up struggling with the hood whilst the E-type is 3 miles down the road. In some ways this difference sums up the two cars. The quality and finish is understandably very good with the SL but dynamically it is way behind the E-type in the driving department and much slower. Being more of a cruiser, just sit back and enjoy the experience, albeit at a slower pace. Values for these cars are on the up for the best ones and with room for further growth. They are so beautifully constructed which really comes through behind the wheel. Finally the 50s SL300 and other late 50s Mercedes are now fetching very strong money and almost up at Gullwing levels which I can understand. It’s much easier to get in and out of, and the detailing and build quality on a really grand German restoration is truly amazing. What a car! They are just stunning to behold but with values creeping up to £1.5m-£2m for the best, they’re only going to be available to the few. I think in time they may catch up or be very close to Gullwing values and probably an easier car to get along with. Anyway I hope a little insight to the market is helpful for those of you who follow the sector. No doubt many will be dusting down and repairing classic cars and keeping the restoration companies busy over the winter and early spring. So it’s time to get out there and enjoy your car throughout 2018. A regularly driven car is a much nicer driving experience than a garage queen left languishing under covers or in a Carcoon in a dark garage or barn somewhere out of mind.